Here’s an interesting one. This was listed, but didn’t sell, on Ebay recently. 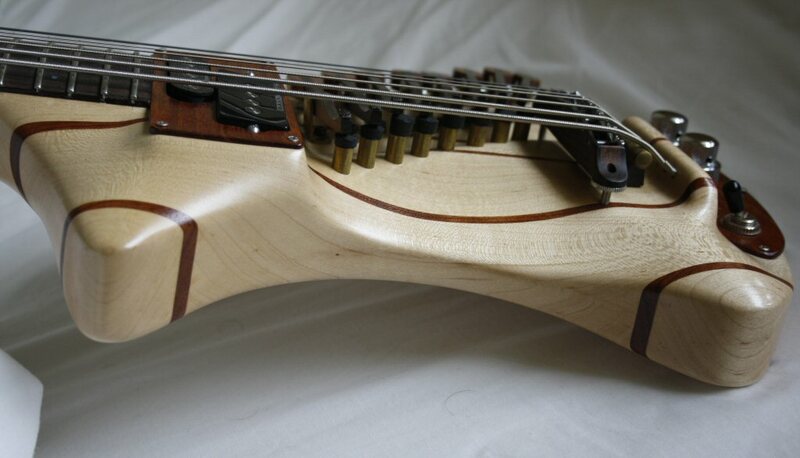 It’s a hybrid six string guitar and 2 string bass, with some hammers, which can also be used as dampers if necessary. Carter instruments are hand made in the States. 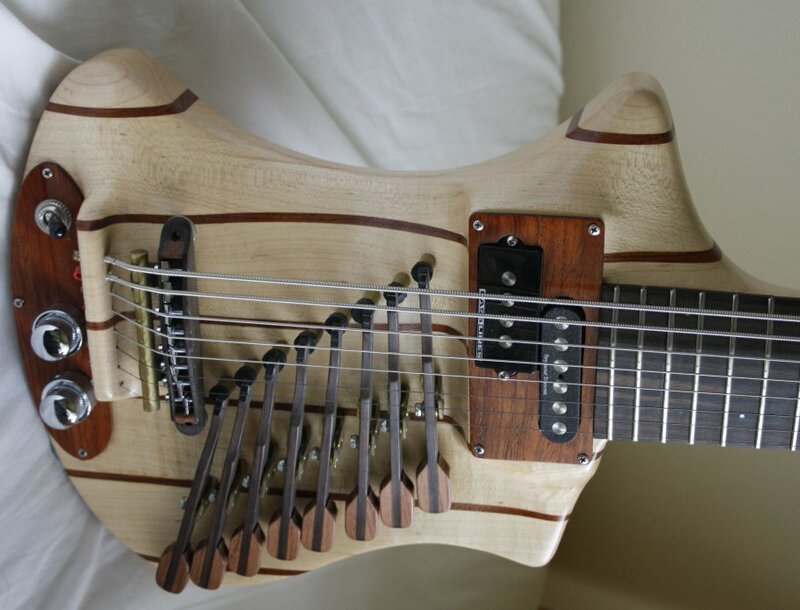 His custom instruments start at $3,500 but what makes this one special is its provenance. I contacted Jeremy Carter who told me it was eighth instrument he made and was given to Robert Smith (of the Cure) as part of an endorsement deal. It was then was passed onto Porl Thompson. 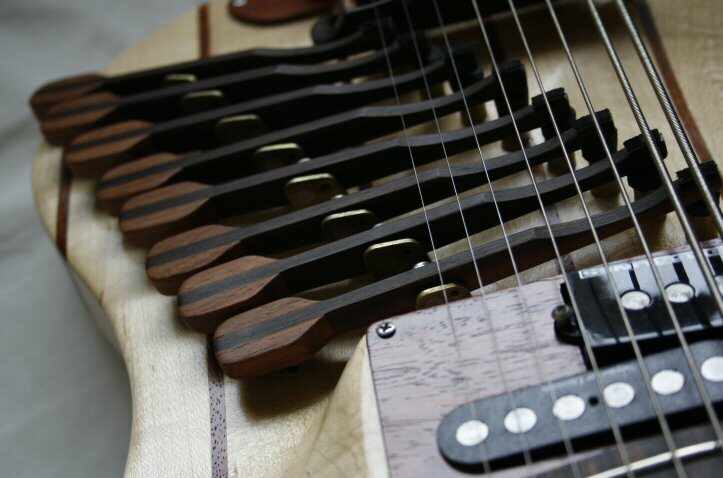 The guitar has six standard electrics strings and two bass strings. 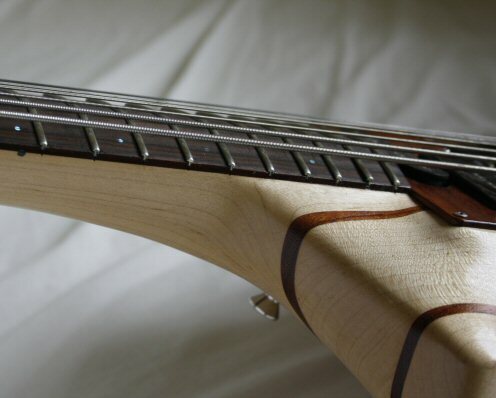 The unique feature of the instrument is certainly the eight damper/strikers, which, as the name implies, are used for both striking and dampening the stings. 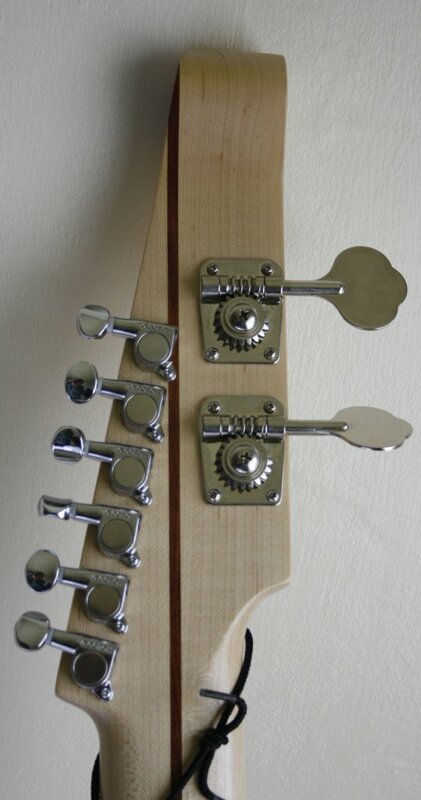 They are most effective for either a percussive style when striking (especially with a lot of distortion) and dampening (removing) individual notes from a sustaining chord which gives the instrument an unique tone. The fingerboard on the neck is very curved so when playing the higher 6 ” electric ” strings it feels like an standard guitar. Carter Instruments Hybrid 8 Porl Thompson Robert Smith Cure Electric Guitar | eBay.